A mass emailing went out a while back from a prominent permaculturist looking for “projects where people are fully self sufficient in providing for their own food, clothing, shelter, energy and community needs. . .” There it was, the myth of “fully self sufficient,” coming from one of the best-known permaculturists in the world. In most US permaculture circles, the idea that anyone could be self sufficient at anything past a very primitive level was abandoned a while ago, and the softer term “self reliant” replaced it. But even self-reliance is barely possible, and, other than as way of expressing a desire to throw off the shackles of corporate consumerism, I don’t think it’s desirable. I took a Googling cruise around the internet and found that “self sufficient” shows up as a desirable goal on several top permaculture websites. I’d like to hammer a few coffin nails into that phrase. My dictionary says that self sufficient means being “able to maintain oneself without outside aid.” Who lives without outside aid? No one. Let’s unpack that a bit further. The meaning of “self sufficient in food” is something most of us can agree on: supplying 100% of your food needs from your own land and efforts. I have never met anyone who has done this. I’m sure there are a few people doing it, but even subsistence farmers usually raise, alongside their food, a cash crop to buy the foods that are impractical for them to grow. I hear people say they are growing 30%, 50%, even 70% of their own food. What they usually mean is that they are growing fruits and vegetables that make up some percentage of the total cost or weight—but not calories—of their food. Vegetables are high in wet weight, but low in calories. If you are growing 100% of your own vegetables, they provide about 15-20% of your daily calories, unless you are living mostly on potatoes or other starchy veggies. Most daily calories come from grains, meat, or dairy products. So if you’re not raising large-scale grains or animals, it’s unlikely that you are growing more than one-quarter of your own food, measured honestly by nutritional content. In that case, it’s not accurate to claim you are “70% food self-sufficient.” If you are getting most of your calories from your land, you’re almost certainly a full-time farmer, and I salute you for your hard work. Now we begin to see how difficult, and even undesirable, self sufficiency is. You won’t have time for much else if you are truly food self-sufficient, even in a permaculture system. But even if you grow all your own food, can you claim you are self sufficient if you don’t grow all your own seeds? Provide all your fertility? Where do your farm tools and fuel come from? Permaculturists understand as well as anyone how interconnected life is. At what point do you claim to be disconnected from the broad human community in anything? Is there really a way to be “fully self sufficient” in food? Let’s take a quick pass at clothing, shelter and energy. Even if you sew all your clothes, do you grow the cotton, raise the sheep? If you milled all the lumber or dug the stone for your home, did you forge the glass, fabricate the wiring? In the off-the-grid house, what complex community of engineers and factories assembled the solar panels? We’re reliant on all of that. Claiming self sufficiency in almost anything insults and ignores the mountain of shoulders we all stand on. US permaculturists are a pretty politically correct crew, and it became obvious to some of us that “self sufficient” was not just impossible, but was a slap in the face to all those whose sweat provides for us, and was another perpetuation of the cowboy ethic that puts the individual at the center of the universe. So the term morphed into “self reliance,” to show that we know we are interdependent, but are choosing to be less reliant on others. At its best, self reliance means developing skills to provide for basic needs, so we can stop supporting unethical and destructive industries. But I see much less need for self-reliant people who can do everything themselves, and much more need for self-reliant communities, where not everyone knows how to weave or farm, but there is clothing and food for all. There is still a deep prejudice in permaculture, as websites and emails show, that doing it all ourselves, and on our own land, is the most noble path. And insofar as our skills make us less dependent on corporate monopolies, developing the abilities that we think of as self-reliant is worth doing. However, the more we limit our lives to what we can do ourselves, the fewer our opportunities are. Each connection outside ourselves enriches us. When we create a web of interdependencies, we grow richer, stronger, safer, and wiser. Why would you not want to rely on others? To fully probe that would take us down a psychological rabbit-hole, but some of it is grounded in a belief that others are unreliable or unethical, and that we weaken ourselves by interdependencies. But the old saying “if you want a job done well, do it yourself” simply shows poor management skills. 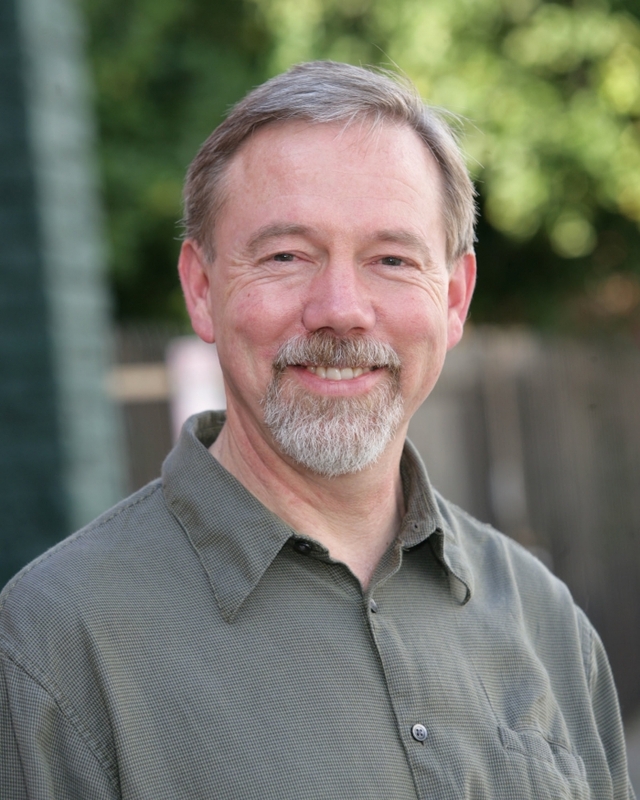 As veteran permaculture designer Larry Santoyo says, go to the highest generalization to fill your needs. Thinking “I must grow my food” is painfully limited. Thinking “I must satisfy food needs responsibly” opens up a vast array of possibilities, from which you can choose the most stable and appropriate. Individual efforts are often less stable and resilient than community enterprises. And they’re bad design: self-reliance means that a critical function is supported in only one way. If you grow all your food and get hurt, you are now injured, hungry, and watching your crops wither from your wheelchair. That won’t happen in a community farm. And for those worried about an impending collapse of society, the roving turnip-bandits are much more likely to raid your lonely plot while you sleep exhausted from a hard day of spadework, and less likely to attack a garden protected by a crew of strong, pitchfork-wielding farmers who can guard it round the clock. Creating community reliance gives us yet another application of permacultural zones: Zone zero in this sense is our home and land. Zone one is our connection to other individuals and families, zone two to local commerce and activities in our neighborhood, zone three to regional businesses and organizations, zone four to larger and more distant enterprises. Why would we limit ourselves to staying only in zone zero? We can organize our lives so that our need for zone-four excursions—say, to buy petroleum or metal products—is very limited, while our interactions with the local farmers’ market and restaurants are frequent. This builds a strong community. Self reliance fails to grow social capital, a truly regenerative resource that can only increase by being used. Why would I not want to connect to my community in every way that I can? If we don’t help fill our community’s needs, there’s more chance that our neighbors will shop at big-box stores. An unexamined belief in self reliance is a destructive myth that hands opportunity to those who are taking our community away from us. If you love being a farmer, then yes, grow all your own food. And sell the rest for the other things you need, in a way that supports your community. But is there really a difference between a farmer exchanging the product of her labor—food—for goods and money, and me selling the product of my labor—education—for goods and money? We both are trading our life energy within a system that supports us, and I’d like to think that we are both making wise ethical choices. A good permaculture design is one that provides for the inhabitants’ needs in a responsible and ecologically sound manner. But there’s nothing in permaculture that says that it’s important for all yields to come from the owner’s site! If I can accomplish one thing in this essay, it is to smash that myth. Permaculture design simply says that our needs and products need to be taken care of responsibly in our design, not on our own land. That design can—and must—include off-site connections. If you are an acupuncturist whose income is provided by your community and you are getting most of your needs met from mostly local sources you believe to be ethical, then that’s excellent permaculture design. Your design will be stronger if your needs and products are connected to many off-site elements and systems. It’s very permacultural to develop skills that will connect you more deeply to land, home, and community. And sometimes the skills that we gained in search of self reliance are the same ones we need to be more community-reliant. But self reliance, as a goal in itself, is a tired old myth that needs to die. It’s unpermacultural. Are you upset at something or someone or something ? Although you are trying to make some good points and distinctions that I also think are important, the mood of your article is unpleasantly and unnecessarily confrontational. For example, you make several assumptions about the meaning of words people use and how people that you have most likely not talked to personally (you just surfed their site) understand those words. Then you go into smashing (to use your own word) the validity of their assumed understanding of those words. I bet if you were to take the time to actually have a conversation with many of the people you are pointing to here, you may just find out that many share the same understanding as you do. They just express the concepts using different words based on a different understanding. For example, you get quite excited about the expression self-sufficiency and then you try very hard to discredit its value. Can you concede that, for some people out there that are very community-minded, the word “self” does not mean just their own person or their own blood family, but the entire small group of individuals they are striving for self-sufficiency with ? Can you admit that it is possible that many people will refer to self-sufficiency and mean exactly what you call community sufficiency or reliance ? Please do not forget that farming and wordsmithing is not the most common combination. So please relax. Don’t make them wrong for trying something very commendable simply because they have not expressed themselves in a way that satisfy your above average need for vocabulary distinctions. Honestly, I feel you need to write a retraction or an apology even. And if you experience my comment as unpleasant, you just joined the experience of many who wrote your words above. And again, not mostly because of the points you are trying to convey, but because of the feisty, I-know-better-than-you mood with which it comes across. Too few people are courageous enough to make the necessary lifestyle changes that are required to pursue “self-reliance” or “community-reliance”. Whatever it is we feel we need to teach each other, we need to do it from a tolerant and compassionate place so that, even if we feel we need to correct others, our overall impact will be an uplifting, empowering, at least, an encouraging one. Would you agree ? You write books and articles, you are in an influential position. Please use it more cautiously. I think I address most of the points you make in the article–such as my agreement that the skills for self reliance are worth getting. And you’ve made a few assumptions of your own, such as that I don’t personally know the people that I use as examples in the article or know what they mean by “self-sufficient.” I know the person who made the lead statement about self-sufficient homesteads very well, and I know that he means “doing it all on your own.” I didn’t just surf random websites; I know the people behind the three sites I checked. That way I wouldn’t be operating on assumptions about meaning. And I know from talking with them that they mean growing all your food, generating all your energy (using equipment manufactured elsewhere and bought with money earned by doing work useful to others), and so forth. The simple point of the article is that we can never do it all on our own, so let’s stop saying that we are doing so. If you don’t like my style, that’s fine. I agree that the tone is a bit combative; it was written around 2006, when I was feeling pretty feisty. But I stand by the article and its ideas fully, and I don’t retract or apologize for any of it. Maybe your interpretation of self-sufficient is too narrow. If a person raises a portion of his food from his own land – and uses a surplus to trade for other needs – the surplus he trades still came from his own land and is being converted into another form by trading it. I would broaden the idea of self-sufficient to include income or barter material that can be derived from one’s own land to meet needs that are not serviced directly from that land. Think of a modern commercial farmer growing corn. He eats many things besides corn. His home is not built of corn stalks. His truck and farm machinery do not come directly from corn. But his cornfield supplies all of those things based on the value of what he raises. Toby brings up a very interesting question : What is the role of self reliance or self sufficiency as goals or ideals in permaculture philosophy. First of all we might remember that the idea of self reliance has deep roots and resonance in American culture, particularly in the works of Ralph Waldo Emerson and Henry David Thoreau. It was also practiced by the pioneers and homesteaders. While Toby rightly points out that no person is an island, the goal of doing more and taking control of one’s life has spurred us on. I think his second point, that our interconnectedness cannot and should not be neglected, is also a very important one. Can we hold as an additional goal developing our interconnectedness and community in healthy ways? Can this drive us? Can we and should we make our inter-reliance more of a priority? So glad to see you make these remarks Toby! If more people within permaculture had this kind of down to earth reasoning, the movement might be able to cast off some of its spoiled, middle class white kids reputation. Most anyone who claims to be totally self sufficient in this day and age has no idea what a whole system is. Anyone who is using a computer right now is using numerous non renewable minerals mined in China and Africa and assembled by people who have been kicked off their rural land in China to work for pennies assembling electronics so we can whine on the internet. If permaculture is going to be taken seriously, its practitioners need to be able to speak their minds based on their experience, otherwise it’s just faith-like censorship based on some un-achievable ideal. Keep speaking your mind, dont be intimidated! My goal is to connect myself with life in every way possible. It is possible to help change this situation. It is amazing how quickly the land can begin to recover if we let it. I want to weave different connections to the people and things around me. A lot of that does mean becoming more self reliant. I like the word resilient even more. Resiliency, So that if gas prices suddenly sky rocket or jobs become unavailable for the people around me, we can help feed each other. I do appreciate how you pointed out the folly of the word Self Reliant and Self Sufficient. I feel like what you are saying is what everybody is talking about. We are trapped in the language that was spoken by the people that slaughtered and subjugated the indigenous people in this country. In fact we are still interconnected to a system that committed those acts. One of the nice things about restricting ourselves to Zones 0, 1, or 2 is that we know more about how our stuff is made or grown and can hold each other accountable. This article and replies were all interesting to read. I had no idea that anyone might be offended by self sufficiency. I have thought that it would come at degrees. Those that live off their land, those that live off their land in communities with bartering and trade, and those that are roughing it but with a lot of resources they purchase beforehand. Without a community, self sufficiency would be terribly lonely and unsustainable. A broken limb would mean certain death and failure. There was a tone to this article, but I think it draws attention to the point that we will be more successful in communities and that it is arrogant to think or claim we are doing it on our own if we aren’t baking from scratch. This is a beautiful, well written article that shines a light where assumptions and status quo blinders are leading to obfuscating language use. If someone has to say “of course we don’t really mean X when we say X”, there is a better way of talking about the subject. Also, a lot of permaculture enthusiasts want to care for the environment, or at least be able to create something that lasts, which requires taking a look at the interconnections in the systems beyond the single homestead. Very good article and all comments, thanks. “The only ethical decision is to take responsibility for our own existence and that of our children.” Bill Mollison. 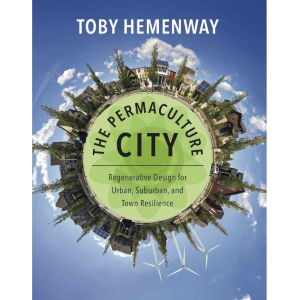 Toby — your article is a fine example of permaculture’s confusion about social realms and its one-sided materialism. In what happens on a farm or permaculture site before things are harvested, it’s important that we strive to follow nature and obtain a certain level of holism, of wholeness. Of course, like you say, we’ll never get there. But you still strive for it. Then, after you harvest something (after you’ve “obtained a yield”) you enter into the kind of social realm (the economy) of interconnectedness that you explain. These are two different realms, not to be conflated. I’m late in reading this article but I hope you see my comment and are able to respond. I found your writing because I googled “self reliance on small farm” or something similar. The first thing I got from your article is that, self reliance isn’t actually my goal. I don’t want to be fully self reliant at all. I want to grow/raise as much as I can because I enjoy working my farm, I like knowing where my food comes from, I like working with my hands directly for what I have, and I’d love to save some money (specifically on produce). So as someone who found your article looking for advice, do you know the term for what I really want? I’m looking for layouts, advice, plans, and thoughts from people who do this, and I think I have been googling the wrong term all along. Thank you for your help, and I’m going to check out the rest of your site now. …and as a reply to my own comment… is that essentially what permaculture is? So I would need to be researching permaculture (which I don’t know anything about).